We always welcome the opportunity to engage with local communities and other stakeholders in the development of forest resources. In recent years partnerships between Coillte and local communities have evolved to create new amenity areas in forests close to population centres. These projects are very successful and allow groups and communities to have a meaningful and direct input into aspects of forest management of their local area. In addition, Coillte supports communities through sponsorship programmes, including our partnership with the Tree Council of Ireland. 'Coillteâ€™s contribution effectively helps us to help the environment'. "The Tree Council of Ireland is a voluntary non-governmental organisation which was formed in 1985, to promote the planting, care and conservation of trees in both urban and rural areas. It is the umbrella body linking together 50 organisations connected by their appreciation of trees, and it aims to foster a tree and wood culture among Irish people. Since its inception in 1989, Coillte has been a sponsor of the Tree Council. We in the Tree Council work to promote the positive aspects of trees and to educate people on their importance. We have benefited hugely from Coillteâ€™s community programme. During that time, Coillte has donated up to fifteen thousand trees annually which are distributed to schools, community groups and other voluntary organisations during National Tree week. To date, we estimate that over 300,000 trees have been planted nationally as a result of Coillteâ€™s contribution. In addition, Coillte has supported the Tree Council financially and has supported our Schoolâ€™s initiative - Tree Day which happens every year in October, when one primary school day is dedicated to the study of trees. On Tree Day, thousands of children are brought from school to visit a forest and given a guided tour by one of Coillteâ€™s forest managers. Coillte has also donated a forest in County Meath to the Tree Council as an education resource. Coillteâ€™s support has assisted with a greatly increased awareness of the importance of trees and has effectively helped us to help the environment." 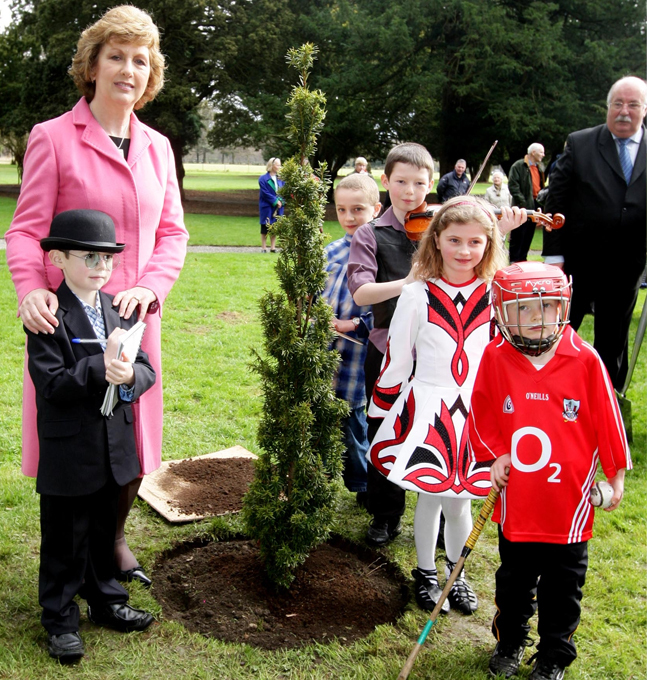 "Over 300,000 trees have been planted nationally as a result of Coillteâ€™s contribution"